(Newser) – Your attention span is, uh... well... whatever, but it probably can't beat that of your average goldfish, a new study says. Microsoft reached this conclusion after surveying more than 2,000 Canadians and monitoring the brain activity of 112 people, Yahoo! Canada reports. In our age of buzzing phones and 140-character news items, they say, the Canadian attention span has dropped from an average of 12 seconds in 2000 to the jittery low of eight seconds today. 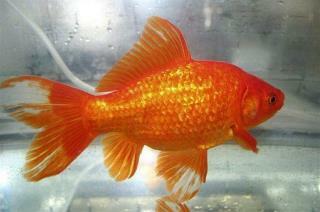 The average goldfish, it's believed, can concentrate for nine, researchers say. "Canadians with more digital lifestyles ... struggle to focus in environments where prolonged attention is needed," the study says. More specifically, 44% of survey respondents say they struggle to focus on tasks and 37% say their inability to use time well forces them to work late or on weekends, the National Post reports. the attention span of potheads is less than a goldfish.